As great as blogging is, there is usually one thing that drives everyone nuts – the useless comment. What is the useless comment? The useless comment is the comment where someone – for who knows what reason – races to post something ridiculous like “first” even if they may be the fifth or sixth comment. It is the comment that dumps a spam link to millionaire matchmakers or the Federation of Marlon Brando look-a-likes when your post is about the external factors impacting the Japanese economy. The thing is, you need comments, but they have to be the right kind of comments. What do you do? Let’s start with why comments are good. 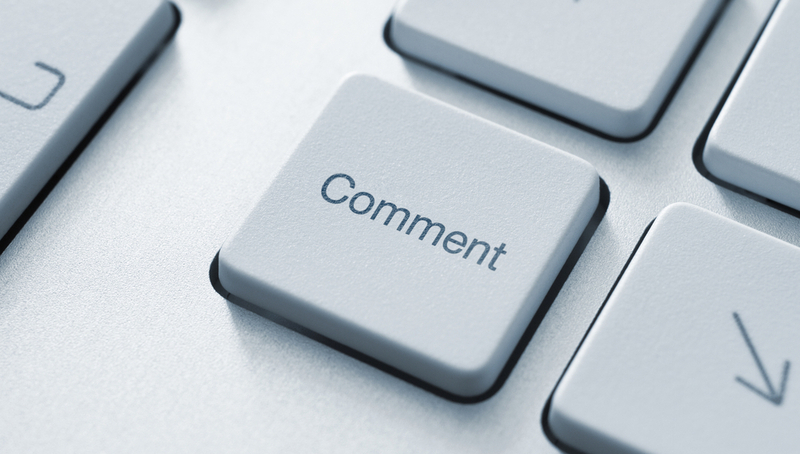 Comments on your blog posts are good because they make your blog look active and draw in more comments. If you are engaging people, you are getting people to come back and traffic is what you want. The second thing is that comments are the ideal breeding ground for great organic links. Before you think this is all about the comments on your blog – think again. This is about using blog comments to build a reciprocal relationship with other bloggers which is where the organic links come from. Every blogger likes to be read and they really like well thought out comments that show their content has actually been read. Here is how it works. Find 3 blogs that are relevant to the type of content you post on your blog. Read through several entries and then pick one or two posts to comment on. Make your comment something that is engaging and helps facilitate a further exchange. Return later in the day, or the next day, and follow-up on your comment if necessary. Comment on another post, and repeat the process as time allows for a few weeks or so. When commenting, include your name, use the bloggers first name or handle they have chosen, and thank them for their post. Keeping it friendly is key because you are trying to build a relationship. In most cases, a blogger will visit the blog of someone that is contributing to their blog if for no other reason than to be polite. It’s acceptable to link to one of their posts in one of your posts to sweeten the deal to get them to stop by. If you have good content it is not too hard to engage them to post on your blog as well. Before long, you have reciprocal links to each other’s blogs. Beyond that, there is always the possibility that in their posts they may link back to one of your posts as a point of reference. Once you have a few reciprocal links of this nature, you will have a blog people are looking to exchange links with rather than you being the hunter. The payoff is not immediate, but over the long haul it is an extraordinarily good investment of your time and effort. You build your visibility, you build mutually beneficial relationships, you build your traffic and best of all you do it for no money out of pocket.